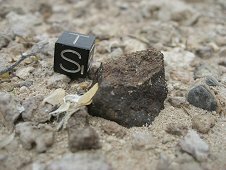 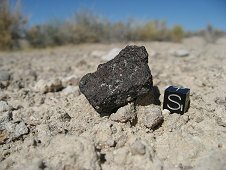 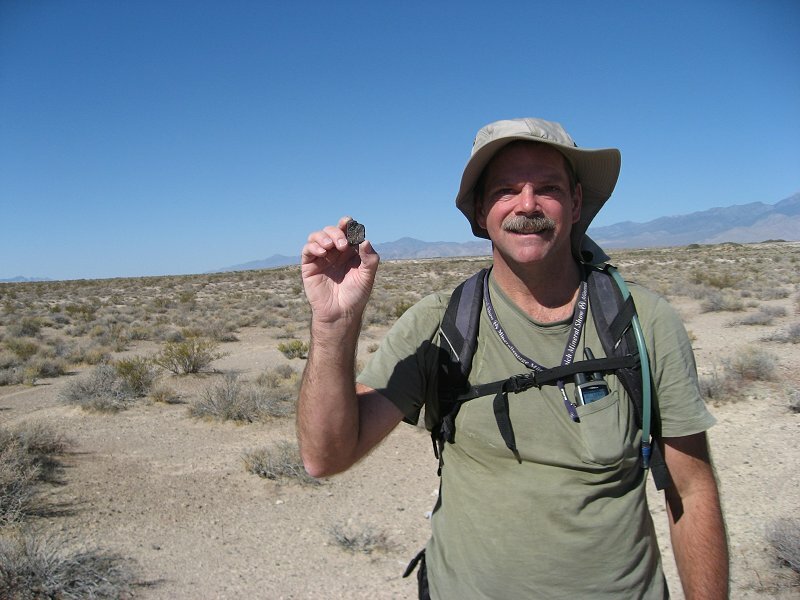 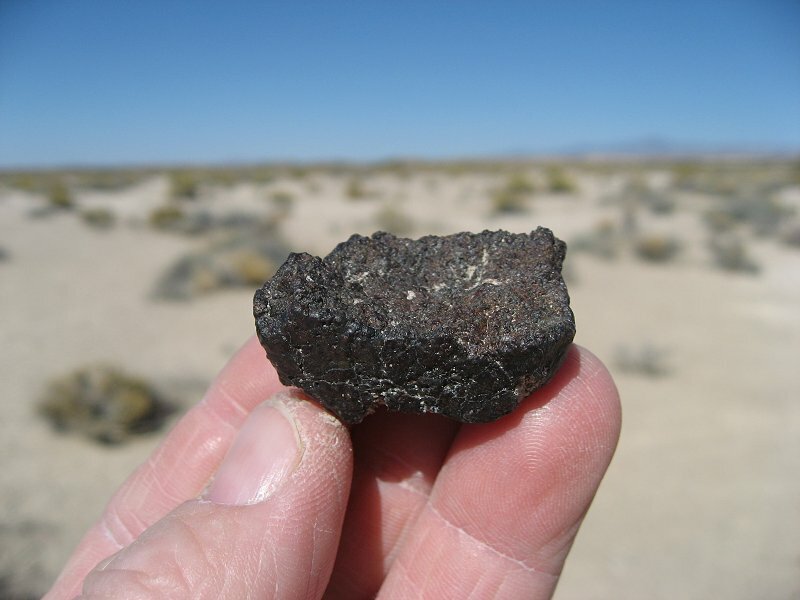 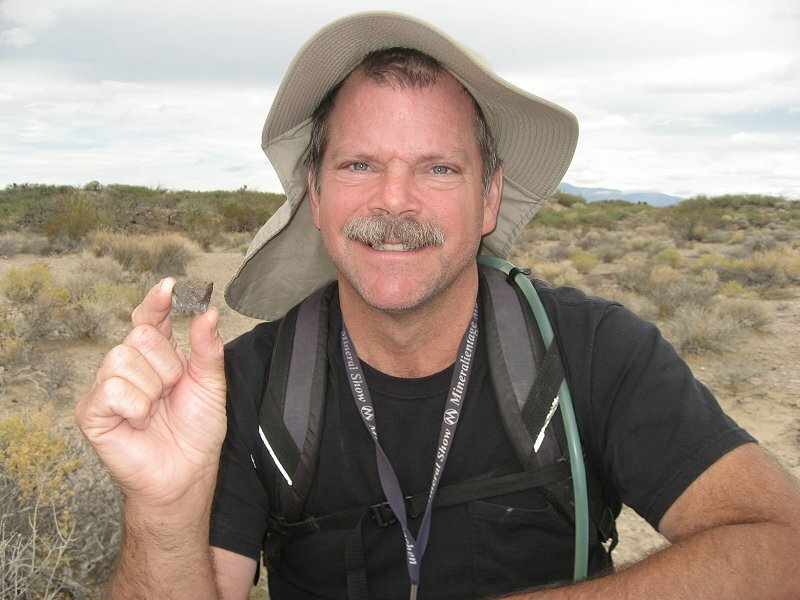 I have hunted for meteorites on the deserts and dry lake beds of Nevada for many years. 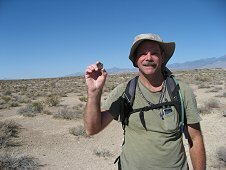 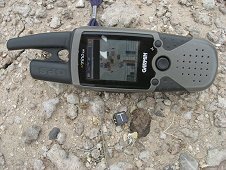 Here are a variety of images of the dersert scenery and some of my finds. 20.2 gram chondrite found October 24, 2010. 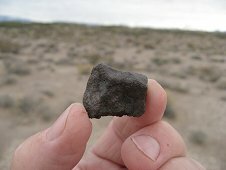 20.2 gram meteorite in situ. 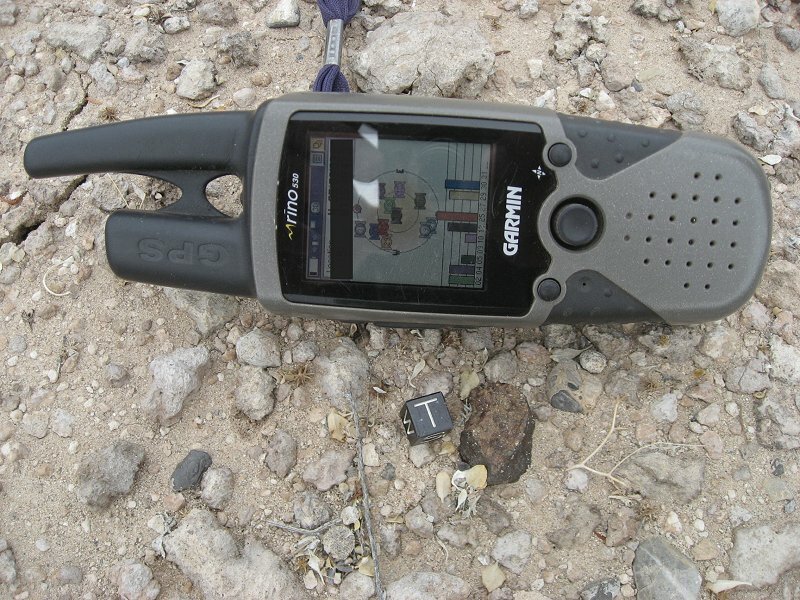 In situ with GPS and 1cm scale cube for size reference. 20.2 gram chondrite, 70 percent crusted. 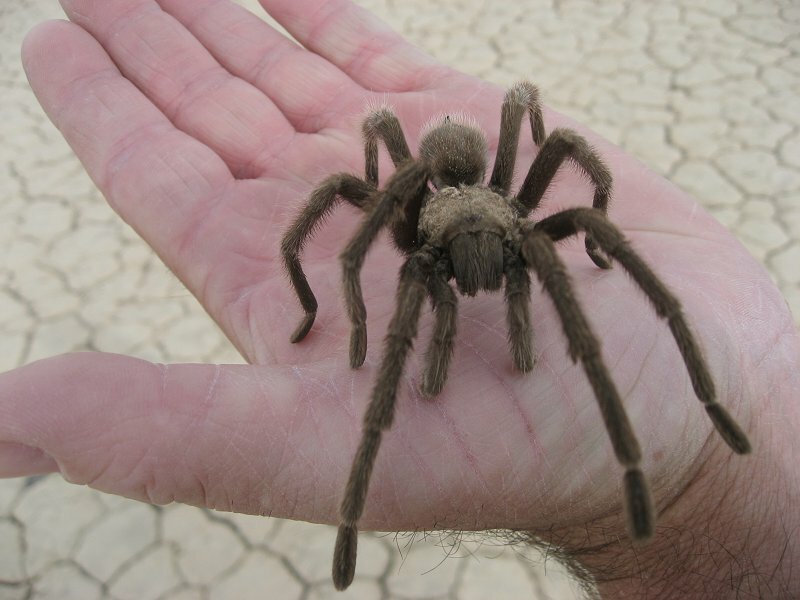 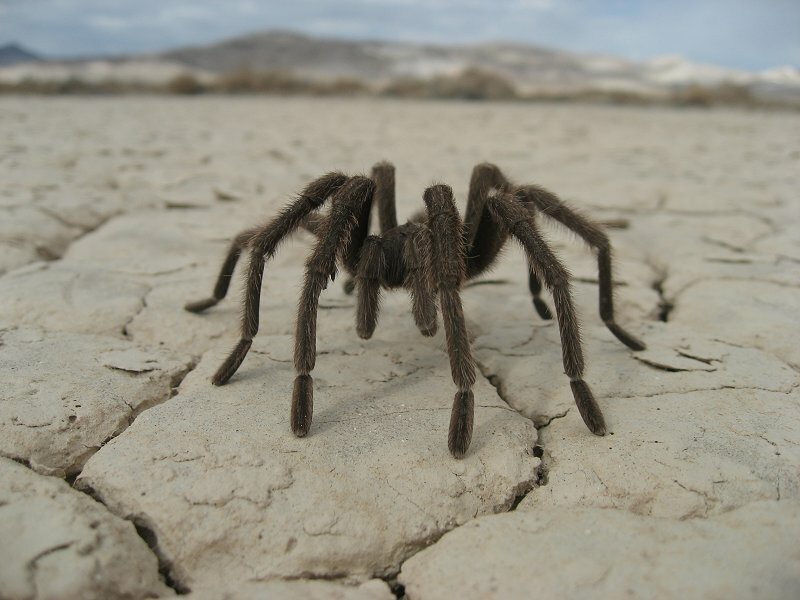 Desert tarantula on dry lake bed. 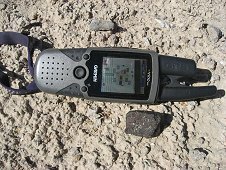 GPS and 1cm scale cube for size reference. 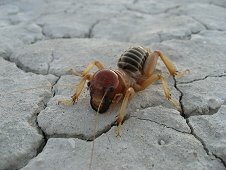 Alien-like critter on dry lake bed. 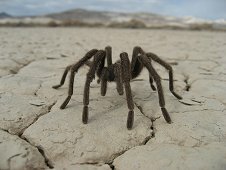 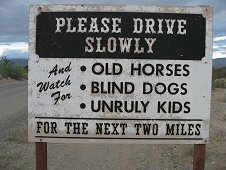 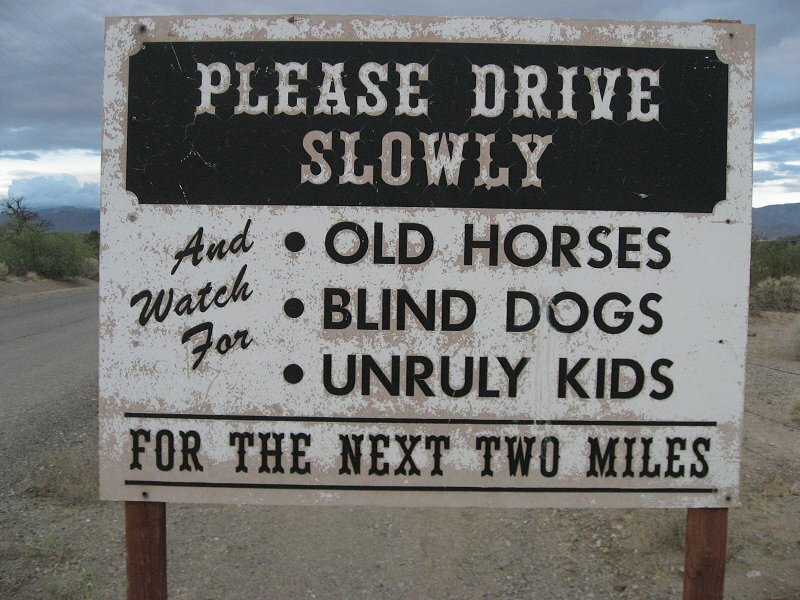 Expect the unexpected in the desert!